Video is at the forefront of everyone’s mind, including those of us at the Sales Evangelist. We’re launching a YouTube channel called TSE TV and using Instagram as well. On today’s episode, we’ll talk with Deepak Shukla about the 2-minute video pitch that helps generate warm sales calls. Deepak is the founder of the SEO agency Pearl Lemon, helping businesses generate more of an internet presence or improve their ranking on Google. There are three primary reasons that video is at the forefront right now. Improved internet has allowed people to stream videos on the fly. Video has been on the rise in terms of popularity, but accessibility has really improved within the last 18-24 months. Additionally, people’s attention spans are extremely short: about 30 seconds, because of the massive amounts of information we are targeted with every day. Video is the de facto way that we make decisions in business. Cold calls, direct message on LinkedIn, and cold email all work to varying degrees. There are things you can communicate in video that you could never communicate in an email or a call. Your energy and the way you present yourself on screen offer a different way of communicating. Video grabs people’s attention, and it’s unique. It engages multiple senses at the same time, offering more sensory engagement than other forms of communication. 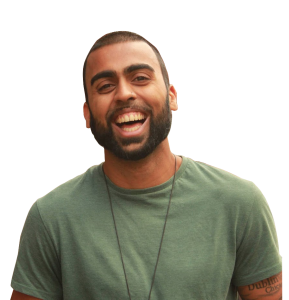 Deepak created a two-minute video that helped generate warm leads, which he defines as a prospect who loves his videos. Warm leads are those who are interested in him because they liked his pitch but they aren’t sure about the business. Warm leads could also be those who are interested in him and his pitch and who will eventually become clients. He uses video as a second stage, in combination with a direct response first. Once he has some kind of response he’ll engage with a video pitch. Personalized video doesn’t scale, so consider using it as a second step. Sending a personalized video to every single prospect isn’t really practical. It’s too exhausting. Once you have some level of initial response, video functions better. It drives positive follow-up, allowing us to get past text-only emails. We can use videos to create warm contacts before the markets become saturated in a few years. Videos allow clients to process information more quickly and it’s far more entertaining. Deepak’s team has largely moved away from text, relying instead on “voice notes” and using WhatsApp to communicate. The team has increased its throughput by using video and voice notes rather than text to communicate. For relationship building, it allows international communication anywhere Internet access exists. We aren’t taking advantage of all the tools that are available to us because we’re entrenched in the traditional models. When you’re ready to try your hand at video, check out Loom, an easy and free video recorder that allows you to capture audio and video from your computer camera and then share it, all from your Chrome browser. Bombbomb and Wistia also offer video capabilities when you’re ready to jump in. We all have to do things that scare us in order to progress. Try new things with someone that you trust; with someone that you can afford to mess up with. Once you get beyond the hurdles and glitches, you can expand to other people. Video has helped Deepak generate significant volumes of business. Contact Deepak Shukla at deepakshukla.com or hire him to help you with your online presence at pearllemon.com. 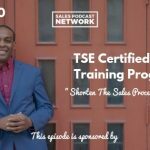 This episode is brought to you in part by Maximizer CRM, personalized CRM that gives you the confidence to improve your business and increase profits. Click on the link to get a free demo of what Maximizer CRM can do for you. 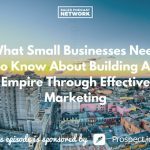 This episode is brought to you in part by prospect.io, a powerful sales automation platform that allows you to build highly personalized, cold email campaigns. It will help you with your outbound to expand your outreach and it allows you to set it and forget it. Leave us a review on Apple Podcast, Google Podcast, Stitcher, or wherever you consume this content, and share it with someone else who might benefit from our message.